Current representative: The current representative for the 66th District is Rep. Beth Griffin (R-Paw Paw). The district includes Van Buren County and a portion of Kalamazoo County. Griffin was first elected to the Michigan House in 2016, taking office in 2017. According to her official House biography, Grffin previously worked as a teacher and as a Van Buren County commissioner. She served as a county commissioner from 2013 to 2016. She is a member of the Energy Policy, Education Reform and Regulatory Reform committees. A look at the 66th House District is here. 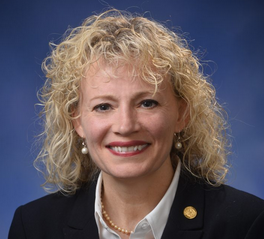 Rep. Griffin raises money through a candidate committee, Beth Griffin for State Rep.